Sheila Hicks (b. Hastings, Nebraska 1934) graduated with a BFA and MFA from Yale University; she lives and works in Paris, France. Hicks participated in the 57th Venice Biennale, curated by Christine Macel (2017); the 20th Biennale of Sydney (2016); Glasgow International (2016); Weaving & We, Hangzhou Triennial of Fiber Art (2016); Whitney Biennial (2014); and São Paulo Biennial (2012). The artist was awarded the Smithsonian Archives of American Art Medal in 2010 and was granted an Honorary Doctorate from the École des Beaux-Arts, Paris in 2014. 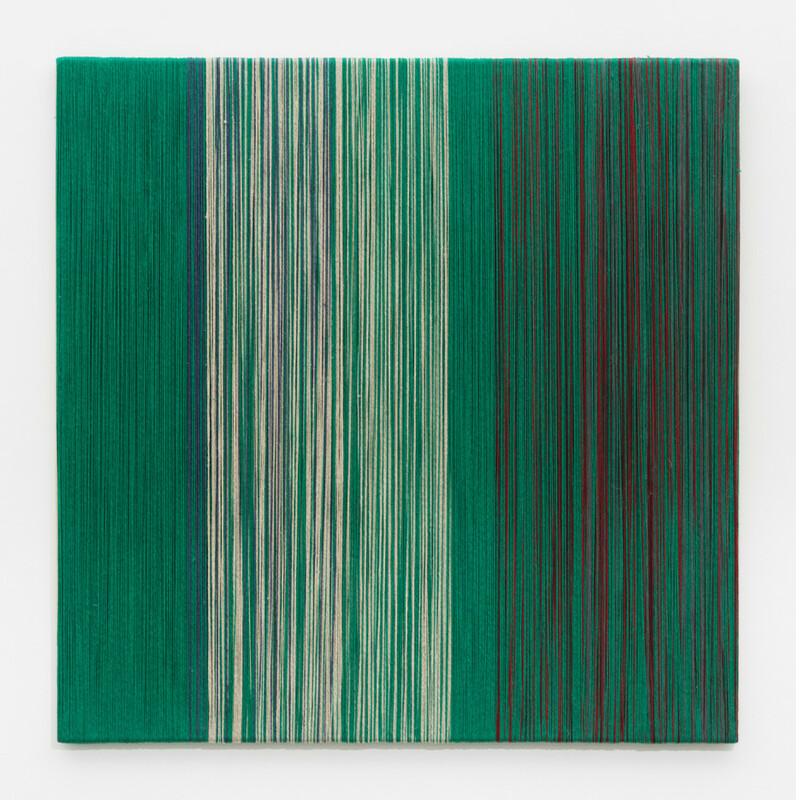 In 2019, the artist will be subject of three major solo exhibitions: Campo Abierto (Open Field), The Bass Museum of Art, Miami; Sheila Hicks, Nasher Sculpture Center, Dallas and Reencuentro, Museo Chileno de arte Precolombino, Santiago. Recent solo presentations include the major retrospective Lignes de Vie / Life Lines, Centre Pompidou, Paris (2018), Sheila Hicks - Free Threads, Textile and its Pre-Columbian Roots, 1954-2017, Museo Amparo, Puebla (2017), Sheila Hicks: Apprentissages, Festival d’Automne à Paris, Musée Carnavalet and Nanterre-Amandiers, Paris (2016); Sheila Hicks: Material Voices, Joslyn Art Museum, Omaha (2016); Sheila Hicks | Why Not, TextielMuseum, Tilburg (2016); Sheila Hicks, Contemporary Art Museum St. Louis (2015); Foray into Chromatic Zones, Hayward Gallery, London (2015); Pêcher dans La Rivière, Alison Jacques Gallery, London (2013); Sheila Hicks: 50 Years organised by the Addison Gallery, Andover, travelled to the Institute of Contemporary Art, Philadelphia (2010/11) and the Mint Museum, Charlotte (2012); Sheila Hicks - Hors Normes, Sculptures Textiles, Passage de Retz, Paris, France (2010); and Sheila Hicks: Weaving as Metaphor, Bard Graduate Centre for Studies in Decorative Arts, Design and Culture, New York (2006). Hicks has created monumental site-specific works for the Ford Foundation Headquarters and Federal Courthouse in New York; The Duke Endowment in Charlotte, North Carolina; King Saud University in Riyadh, Saudi Arabia; and the Institute for Advanced Study in Princeton, New Jersey. Hicks has also produced installations for the Grande Rotonde at the Palais de Tokyo in Paris (2014-15) and as part of the outdoor exhibition Voyage d'hiver in the gardens of the Palace of Versailles (2017). Hicks’ work is featured in a number of prominent collections including Tate Gallery, London; Victoria & Albert Museum, London; Stedelijk Museum, Amsterdam; Centre Pompidou, Paris; Louis Vuitton Foundation, Paris; Museum of Modern Art, Tokyo; Museo de Bellas Artes, Santiago; Museum of Modern Art, New York; The Metropolitan Museum of Art, New York; The National Gallery, Washington D.C; Art Institute of Chicago; Pérez Art Museum, Miami; The Jewish Museum, New York; and the Joslyn Art Museum, Omaha, Nebraska.